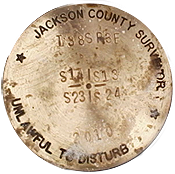 The Surveyor's Office is the public records steward of survey records for Jackson County. This includes all maps of survey, road records, subdivisions, condominiums, partitions, and property line adjustments. The Surveyor’s Office ensures conformity with state law and local ordinances prior to filing of maps and plats. 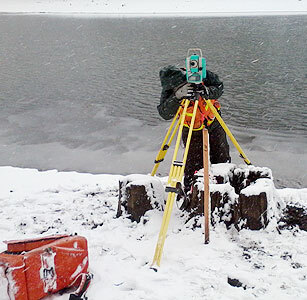 We restore and maintain government corners, perform geodetic surveys, and provide professional support and guidance to the public on surveying matters. Additionally we perform professional services for all county departments upon request, and surveys ordered by any court or the Board of Commissioners. SEE LATEST NEWS SECTION UNDER THE ABOUT TAB FOR NEW COUNTY SURVEYOR'S REFERENCE STATION INFORMATION.